Gold [XAU/USD] found takers below the 10-DMA of $1281 in early Asia on caution ahead of the war drills in the Korean Peninsula. The yellow metal currently trades around $1286/Oz levels. Prices clocked a high of $1300 on Friday before deflating to $1284 levels. The first attempt at $1300 failed after President Trump dismissed Stephen K. Bannon following weeks of White House upheaval and racial unrest. However, political analysts believe Bannon’s departure is unlikely to calm the turmoil in Trump’s White House. 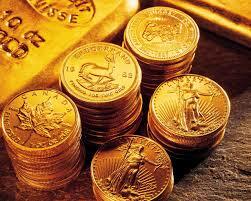 Markets seem to agree with political analysts, thus, gold is looking northwards again. The data docket thin today, hence the performance of the equity markets would guide the yellow metal. A break above $1288 [1-hour 50-MA] would open doors for $1292.15 [Aug 11 high] and $1300 [zero figure]. On the downside, breach of support at $1283.50 [5-DMA] could yield a pullback to $1272 [4-hour 50-MA] and $1267.34 [Aug 15 low].